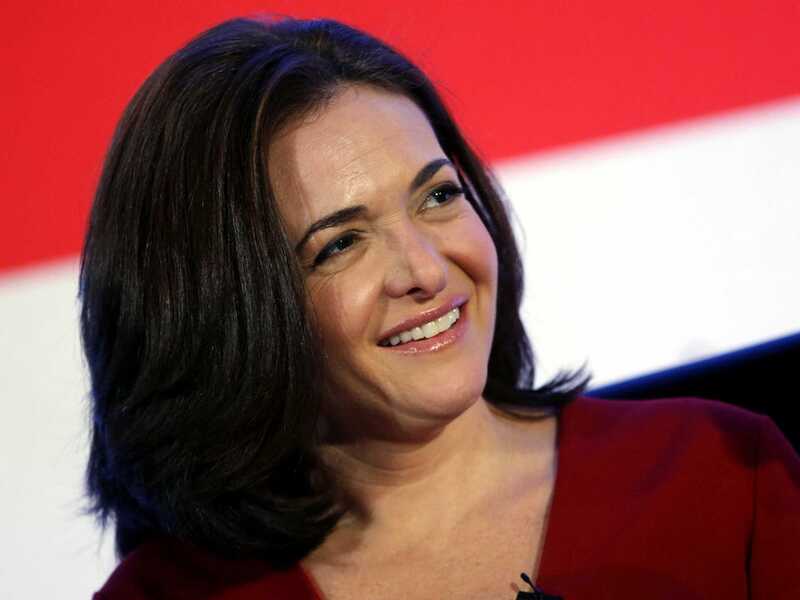 Facebook COO Sheryl Sandberg is one of the most successful women in the tech industry. When the young journalist Napoleon Hill interviewed the industrialist Andrew Carnegie in 1908, Carnegie liked Hill so much that he decided he would share all of the strategies that turned him from a penniless immigrant into the richest man in the world. From that point forward, Hill dedicated his career to understanding the work ethics of highly successful people like Thomas Edison and Henry Ford, collecting them into his own philosophy and then packaging it into articles, books, and lectures for regular people wanting to achieve more in life. His 1937 book "Think and Grow Rich" is one of the bestselling books of all time. Before he began writing books, Hill ran two magazines with articles that provided the foundation for his most famous work. In the inaugural April 1921 issue of Napoleon Hill's Magazine, Hill wrote about "The Magic Ladder to Success," an essay based on a speech he gave on a tour of the U.S. and would later adapt into a full-length book in 1930. We found it in "Napoleon Hill's First Editions: From the Napoleon Hill Archives." 1. They have a definite aim in life. Hill likens having just a vague aim to succeed to being a ship without a rudder. "Bear in mind that both your definite aim and your plan for attaining it may be modified form time to time... The important thing for you to do now is to learn the significance of working always with a definite aim in view, and always with a definite plan," Hill writes. To be capable of setting ambitious goals, you need to believe you can follow the plans to achieve them. And when you believe in yourself, others tend to believe in you as well. The only way to rise up the corporate hierarchy or to develop your own business is to to look for other things to accomplish once you've fulfilled your regular duties. A lack of the driving force of initiative and the creative power of imagination is "the main reason why 95% of the adult people of the world have no definite aim in life, which, in turn, is also the reason why this same 95% constitute the followers in life," Hill says. You may have earned multiple degrees from elite universities and have read history's most important books, but none of it means anything if you don't turn knowledge into action. Do what you love, Hill says, or else you will lack the energy to become truly successful. Hill says that he did not start to become successful until he learned that he was working against himself whenever he gave into anger or arrogance. "No person ever became a great leader of others until he first learned to lead himself, through self-control," he writes. 8. They go beyond what's required of them. The most successful people outperform their competition, and when they make it to the top, they compete with themselves. 9. They are incredibly likable. When you are charismatic and foster relationships with others, you build a network of people who are willing to help you without your asking. 10. They know how to separate truth from bias. Because their actions have ramifications for other people, leaders understand that they cannot take what they hear or read at face value, and learn how to pluck truth from others' worldviews. Successful people are able to concentrate their energy and skills toward specific goals without becoming distracted by irrelevant issues. Those who are able to achieve success are not stopped by the inevitable nonstop challenges and setbacks that are in their path to attaining their goals. "When you begin to realize that failure is a necessary part of one's education, you will no longer look upon it with fear, and lo! the first thing you know, there will be no more failures!" Hill writes. "No person ever arose from the knockout blow of defeat without being a stronger and wiser human being in one respect or another." In "Think and Grow Rich," Hill writes that it's not a coincidence that history is filled with tyrants and dictators being overthrown. The most successful leaders work in harmony with their team, not in dominion over them. Hill says that this sounds simple enough, but it's important to remember that even if you achieve your greatest goal, you need to continue pushing yourself or risk losing everything you worked for. The Golden Rule acts as a barrier to all of man's tendencies toward the destructive use of power that comes from developing the other qualities outlined in this ladder. It is the thing that antidotes the harm man could do without knowledge and power; the thing that guides man to the intelligent, constructive use of those qualities he develops from the use of the rungs of this ladder.